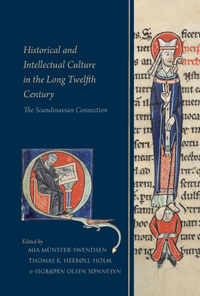 Kissane's detailed and extensively documented work focuses on the economy of medieval Lincoln from the suspension of civil liberties in 1289 until the city was granted urban county status in 1409. The turn of the fourteenth century marked the end of two centuries of almost uninterrupted economic growth, as population outstripped available resources and the country fell victim to bouts of plague, famine, and war. The author seeks to apply the theory of "urban decline" to Lincoln and to determine whether the population loss from the Black Death really did usher in a period of economic depression. What he proves is that, as always, things are much more complicated than they seem, and that some sectors of Lincoln's economy did quite well. 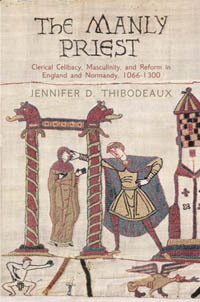 Kissane devotes his first three chapters to economic and fiscal analysis, beginning with one of the city's most important industries, the cloth trade, which experienced steady growth until 1250, followed by a period of decline. The industry rebounded in the 1330's and 1340's until the plague struck in 1349. Afterwards the trade supplied mostly local markets. Kissane employs a table of occupations (Table 2, p. 21) drawn from administrative and legal records to show that other segments of the economy remained strong. Within the broader apparel industry, tailors and fur and leather workers continued to do well. The arms trade grew, and as Lincoln became an important administrative center, not only did more people earn their livings as lawyers and clerks, but the parchment trade boomed to support the growing bureaucracy. The area around Lincoln produced wool of exceptionally high quality, and the city became one of the Staple towns, which meant that it was one of the cities through which all exports of wool, hides, skins, timber, and tin were required to pass for weighing and packing. The privilege was occasionally revoked for political reasons, but the suspensions proved temporary, and although the wool trade also declined by the end of the fourteenth century, it continued to be a major source of employment for Lincoln. Kissane innovatively employs different types of data to demonstrate the continuing economic vitality of Lincoln, even though that data may be incomplete or flawed. For example, a table of tolls on goods coming into the city during the years 1290-1299 shows that Lincoln's receipts were exceptionally high in comparison to other towns. However, Kissane points out that the volume of goods flowing into the city was actually far higher because citizens did not pay tolls. Similarly, an analysis of Statute Merchant certificates recording the extension of credit shows that Lincoln had become an important financial center, but again, the true volume of credit was far greater because the certificates that remain today are for debts that were not repaid. This is probably not what the author meant to teach, but his innovative and careful approaches demonstrate that data from the middle ages, which is almost always flawed and incomplete, can still produce useful results, as long as its limitations are acknowledged and clearly explained. The author is also quick to point out that there could have been other reasons besides the Black Death for changes in Lincoln's economic scene. For example, the credit market appears to have tightened in the post-plague years, but Kissane ascribes this to other causes, such as a tightening money supply and the rise of London as the dominant financial center. Similarly, Kissane offers a highly technical discussion of the fee farm, a tax paid to the crown for the right of self-government, but often assigned by the crown to private individuals or institutions. The author argues that Lincoln's increased indebtedness to the crown in the years after the plague is explained by the fact that the city's initial assessment was very high in comparison to other similar cities, that in the reign of Richard II the amount was increased above the original 180 pounds, and that the crown had assigned out portions of the tax in excess of the agreed-upon total. He views Lincoln's ability to pay at least the amount of tax that had been assigned to entities other than the crown as a sign of the city's ongoing economic vitality. The author views the elaboration of civic institutions during this period as another especially important sign of Lincoln's economic health. As examples, he points to such innovations as the single-year mayoral term, new trade regulations, a new land and property registry, and increased expenditures on government offices and staff. He includes two appendices and several tables (Appendices 2 and 3, Tables 15-17) listing the holders of the most important offices of mayor, bailiff, and coroner and their occupations, places of residence, and amount of tax paid. He also finds evidence of a kind of urban renewal following the decline of the cloth trade with the emergence of the Stonebow suburb near the city's southern gate as a favored place of residences for these wealthy officeholders and the site of a new guildhall. Kissane also doubts that the elaboration of certain religious and social practices shows the effect of the Black Death on the mentality of the survivors. For example, it is said that the establishment of guilds grew out of the desire to provide for a proper burial and to replace the companionship lost due to deaths from the plague. However, in Lincoln more than half of the guilds for which foundation dates can be determined existed before the plague, a fact which Kissane attributes to Lincoln's economic power and to encouragement by the civil government. The establishment of chantries shows a similar pattern. A chantry was a donation of property to support chaplains to offer masses for the souls of the deceased in cathedrals and parish churches. Chantries could be either perpetual or temporary, limited to a specified term, most commonly one to three years. The cost of a perpetual chantry was such that they were endowed only by the wealthiest and most influential citizens. More than half of them were established before 1349, and several of the post-plague examples were endowed in the newly affluent Stonebow district. 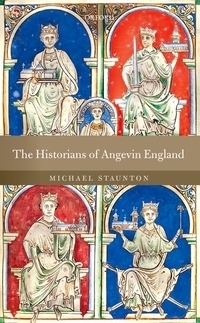 The practice largely died out by the end of the fourteenth century due to the increased costs of licenses and clerical salaries and the decline of the market for rental property due to depopulation. Unsurprisingly considering their lower cost, the number of temporary chantries increased in the years immediately following the onset of the plague. The founders were a more diverse group of people, many of whom were otherwise completely unknown, and the chantries themselves were more widely scattered throughout the city. However, temporary chantries had also become much less popular by the end of the century. 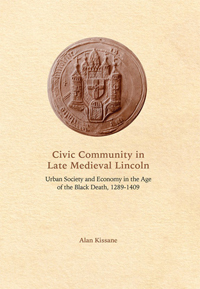 Overall, Kissane maintains that the Black Death did not cause a major shift toward piety and commemorative practices in the city of Lincoln. In the end Kissane demonstrates that, despite the dislocations caused by the Black Death, Lincoln's economy remained quite healthy during the period studied. The city's emergence as a financial and administrative center, and especially its deepening relationship with the crown, allowed new sectors of the economy to make up for those in decline. This is definitely a book for specialists, some of whom may even disagree with some of the author's conclusions. However, specialist and non-specialist alike will be impressed with the amount of information Kissane has managed to tease out of his less than perfect data and with the care he has taken to point out the limitations of that data. Kissane is always more than willing to share his data with his readers, and non-specialists may be intimidated by the number of tables, charts, and graphs he has included. However, even the less mathematically inclined may find themselves lingering over such gems as the list of medieval occupations culled from the city's civic records and the appendices devoted to the mayors, bailiffs, and coroners of Lincoln. One can even imagine a historical novelist employing these to help enhance his depiction of a medieval city.